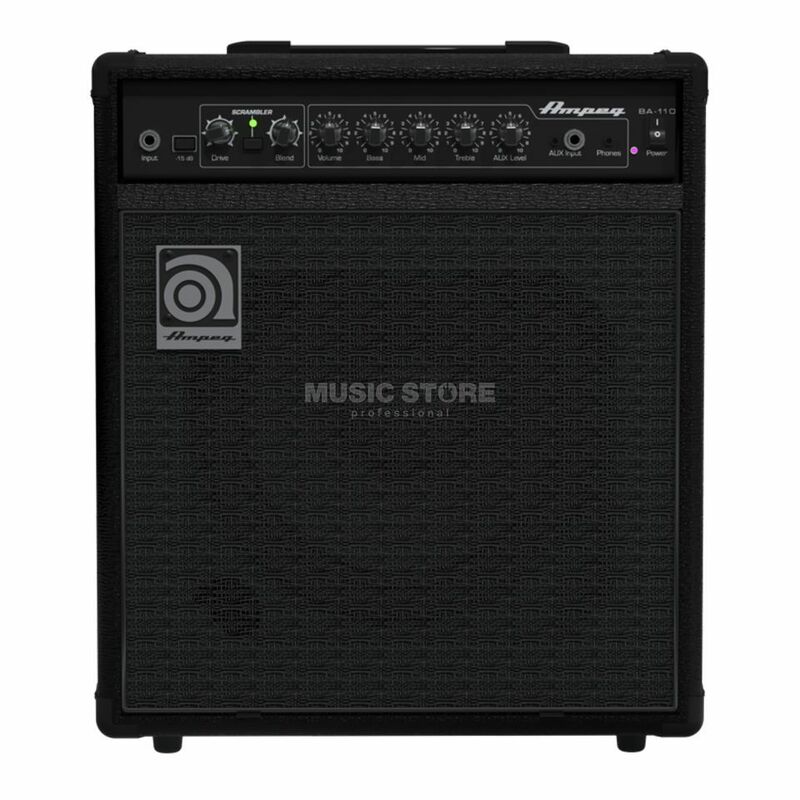 The Ampeg BA-110 Bass Guitar Combo Amplifier combines huge tone and portability and applies it unapologetically with the use of 30-Watts, a Legacy Ampeg, 3-band EQ, preamp and a punchy 10” Ampeg Custom10 speaker, the BA-110 delivers classic Ampeg tone and performance perfectly suited to small rehearsals and gigs. Clarity is key when it comes to great bass amplifiers, you want to hear the note as much as feel it in the low end, and the True 60° sound reinforcement monitor angle allows for this with unmatched precision and define your sound further with the use of Ampegs all-new grinding Bass Scrambler overdrive. The BA-110 provides rugged portability in the form of its protective all-steel amp chassis, impact-resistant black metal corners and only weighs 15.4kg! Оличный вариант для домашнего использования. Своих денег в принципе стоит.